Want to spin your product 360 degrees? 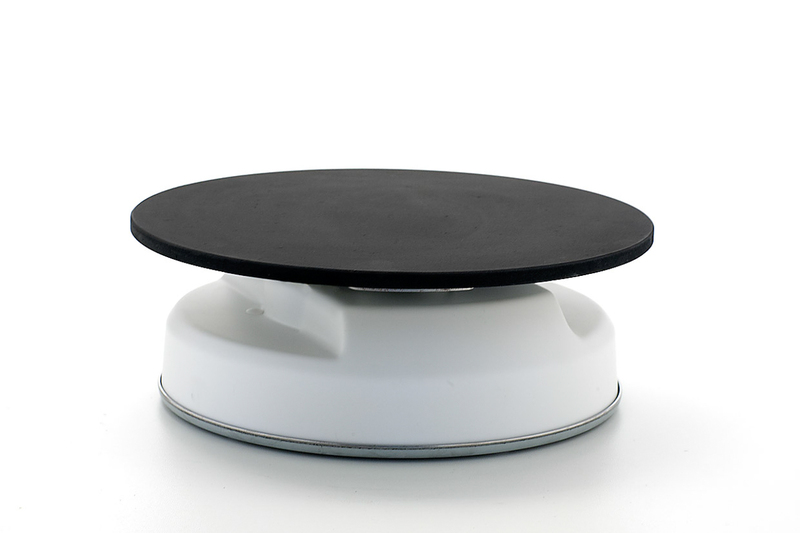 Pre-Motion has turntables for sale and rent that will guarantee attention for your product. We offer a wide variety of revolving platforms: from small electric turntables to large revolving platforms 8 metres across. Check out our range of turntables below. Choose a revolving platform that suits your creative concept. Take into account the size and weight of the products you wish to display. Curious about our range of display conveyor belts? Electric turntables can be ordered right away in our turntable web shop. They will be delivered within a couple of days. 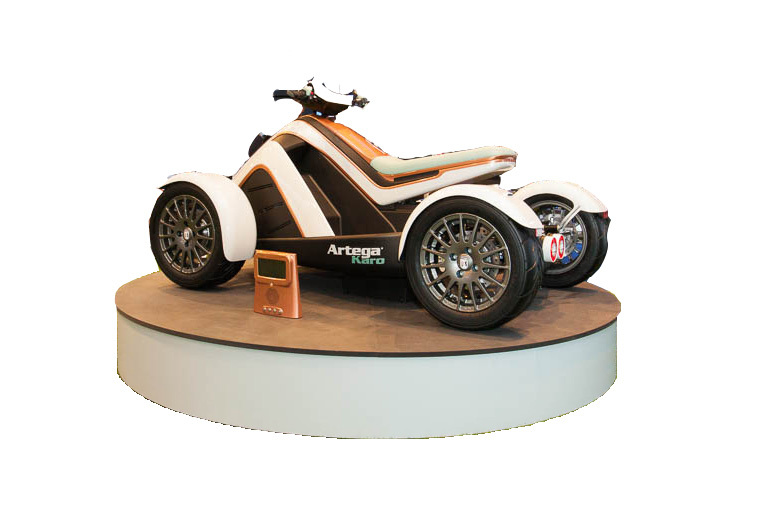 Our range of medium turntables, with revolving platforms of Ø 1.0 – 2.5 metres, is suitable for presenting things like motorbikes, mopeds and furniture. Is a revolving platform from this intermediate variety not large enough for your product presentation? Our large revolving stages are available in sizes of 2 to as much as 8 metres across. These revolving platforms offer all kinds of extra possibilities, such as adjustable speed, positioning and control with an app. 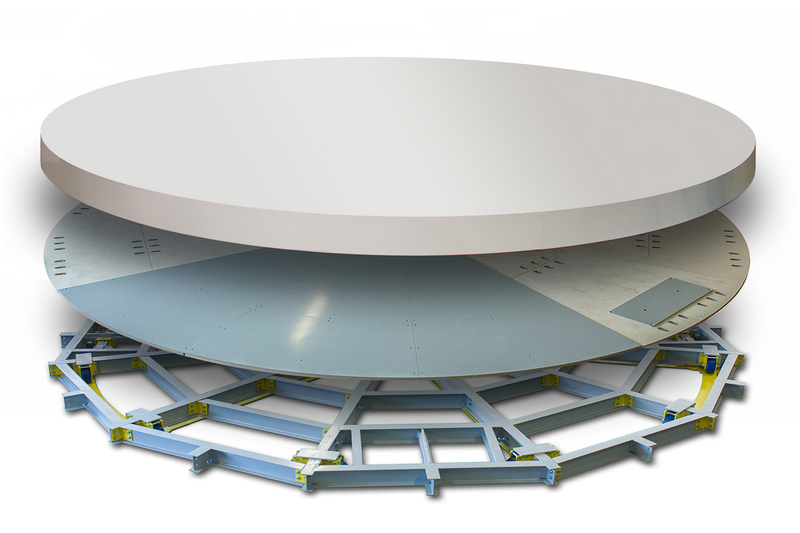 Pre-Motion has developed revolving stages for TV studios, museums & theatres, showrooms and more. 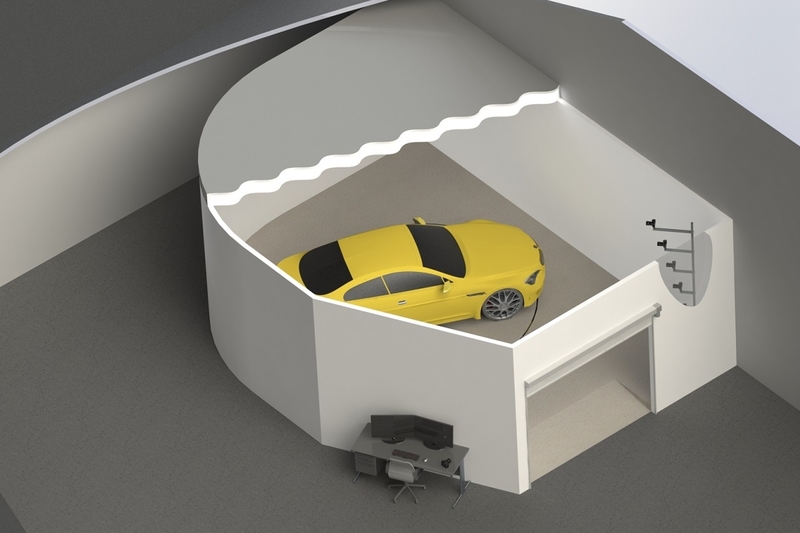 A revolving platform for cars can be used anywhere: at trade shows, in your showroom and during exhibitions. Our car turntables are also used by the design department of prominent car manufacturers like Audi. A revolving car reveals every detail, making it easier to evaluate the design of concept cars. A revolving platform will enable you to make beautiful photos and videos fast. It makes photographing large products like sofas, mopeds and white goods easy. Car dealers also use a revolving platform to quickly create 360-degree car photos. Our positioning options and control software enable them to make professional photo series for the web. Want to make your cars spin? 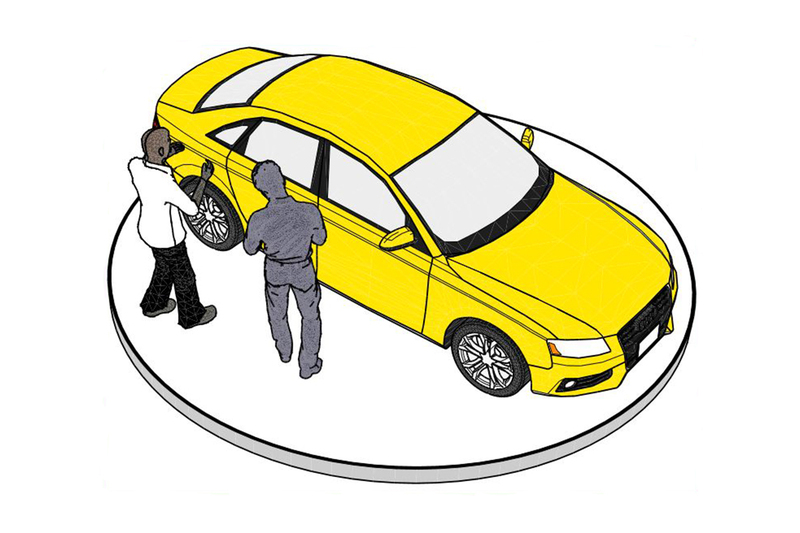 A car turntable allows your customers to admire your car models from all sides. Want to make 360-degree photos or scans? With a turntable, beautiful photos and 3D scans can be made in no time. Organizing a theatre show or exhibition? A revolving platform offers many creative possibilities. You can even have your audience spin along on the platform.